CAGEF offers DNA sequencing and RNA sequencing and analysis for a wide range of research applications, from whole genome sequencing to small RNA analysis. Whether you’re hunting for a single nucleotide polymorphism or exploring a metatranscriptome, we have the equipment, skill, and experience to help you achieve your research goals. 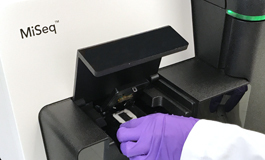 We provide both Next Generation Sequencing with the Illumina system and high throughput Sanger sequencing with the 48 capillary AB system. Identifies the causative lesion in Arabidopsis EMS generated mutants. Quantitatively measure the enrichment of candidate interactors in yeast two-hybrid interaction screens.